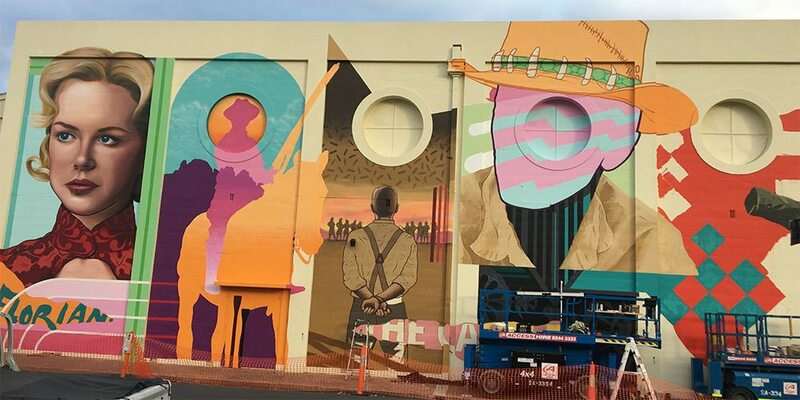 The heritage listed Capri Theatre in Adelaide has exhibited a new mural created by two local artists, with the use of Access Hire equipment to complete the film inspired piece. The project is part of the theatre’s restorations that have taken place to maintain the integrity of the iconic building. 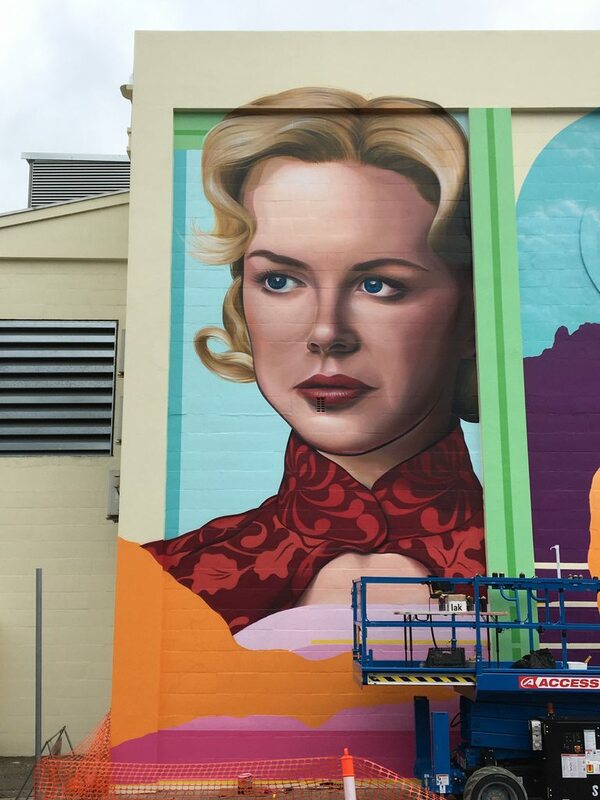 The newly painted mural is a contemporary interpretation of Australian films, featuring the likes of Nicole Kidman in Australia and Paul Hogan in Crocodile Dundee. There are 9 films featured in the mural alongside the incorporation of the 1940’s era architecture of the building and its iconic Capri ‘Wurlitzer’ organ. 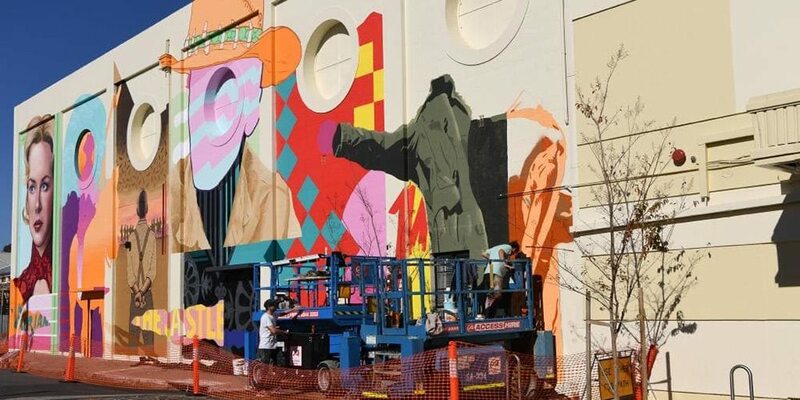 Mural Artists Joel Moore (Van The Omega) and Jake Holmes used Access Hire South Australia scissor lifts to complete the 6 panel wall art, the mural taking around 220 hours to complete. Using Genie GS-3369 machines allowed the artists to reach a working height of 11.75m and utilise the extendable platform length of 4.32m for ease of working along the wall. 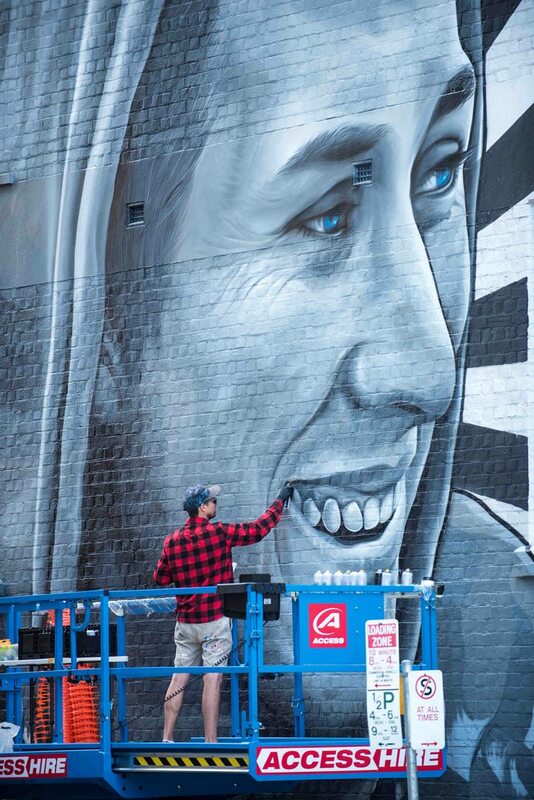 Access Hire has built a long-term relationship with the local artist community over the past few years, with the artists using EWP equipment for various art festivals and murals within Adelaide and surrounding suburbs. The Capri Theatre is running a competition for those who correctly guess all 9 movies featured in the mural to go in the running to win a $50 voucher to two of Adelaide’s restaurants. Details are on the Capri Theatre website with the competition closing Friday 15th June 5pm.